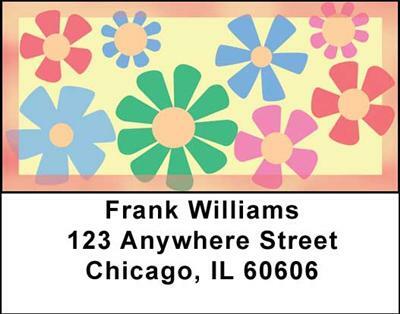 "Flower Power Address Labels" product is already in your cart. Everything will be coming up daisies with these delightful Flower Power Address Labels that will brighten everyone’s day when they see them. A variety of four alternating designs will provide a garden of colorful images in enchanting floral displays – Rosy Red with pink and blue flowers, Pale Blue with pink and cream flowers, Pale Green with purple and blue flowers and Pale Yellow with green and blue flowers. Flower Power Address Labels are fun and festive and remind you that life should never be dull even when you have to address envelopes as these flowers will perk up your day!